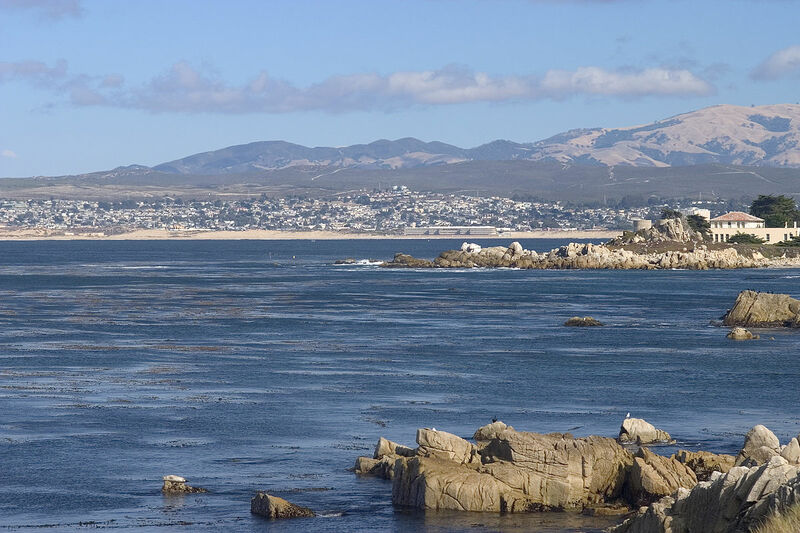 The beautiful coastal city of Monterey is gifted with amazing scenery and beautiful beaches, making it one of California’s best cities to visit. Oh and if you have time, you can easily go online and apply for ESTA (Electronic System for Travel Authorization) Visa for a fantastic US travel experience. Originally, Monterey was the state capital of California, that’s why you see plenty of old buildings in the downtown area. You’ve probably heard of Monterey from the popular books of John Steinbeck focusing on the city’s splendid coastlines. Being historically endowed, you can see plenty of Spanish inspired architectures. Some of the most popular city attractions are the following. Please do visit each one but take note that one day won’t be enough to cover all of them. Perhaps, the most popular is the Monterey Bay Aquarium on 886 Cannery Row. Children rave about it once they get to see the place. This is the perfect place and the safest spot to experience deep sea creatures up close and personal. Once you’re inside the aquarium’s premises, you’ll feel the excitement of seeing silver anchovies seemingly trying to envelop your head. There are also sea otters that have become too tame to be released again in the wild. They turned like your typical pet which is basically bad when released in the wild since they immediately fall right to the bottom of the food chain. For some fascinating down the memory lane adventure, head to the Monterey State Historic Park to see historic buildings. You can find the most intriguing buildings by following the yellow plaques on the sidewalks. If you rather want to know a bit more, you can also buy tickets for guided tours. You can even see sea lions at the wharfs. Head to the Fisherman’s Wharf to see plenty of the mammals lounging in the area, they practically made the breakwater their home already. Another children’s favorite is the popular Dennis the Menace Park which is surprisingly interesting to the adults too. Kids love the full sized trains, bridges, and ducks. Over all, it’s a fantastic real life playground. To experience the Bay from a sail boat is simply relaxing. You can even see plenty of sea otters, sea lions, and harbor seals whilst sailing leisurely. If you want to take a dip, the city also have five public beaches where you can either stroll or bike on the dunes and along the shores. If you crave for more challenging fun on wheels, you can take the popular Monterey Bay Coastal Trail where you can either run or bike. It’s up to you. For the adventurous, the Monterey Bay Kayaks on 693 Del Monte Avenue gives you the chance to show off your kayaking prowess. To experience the annual Monterey Jazz Festival head to the Monterey County Fairgrounds, located at Fairgrounds Road. This could be your romantic set-up as long as you time your visit on the event of the music festivals and the locally famous Monterey County Fair in late August. If you know scuba diving, the Monterey Bay National Marine Sanctuary sports fascinating kelp forests and a reef teeming with splendid marine life. Finally, you can culminate your Monterey tour with a trip to the famous Laguna Seca Raceway on 1021 Monterey-Salinas Highway. This is a world famous indy car and motorcycle race track which you’ve probably heard of already if you’re into racing.